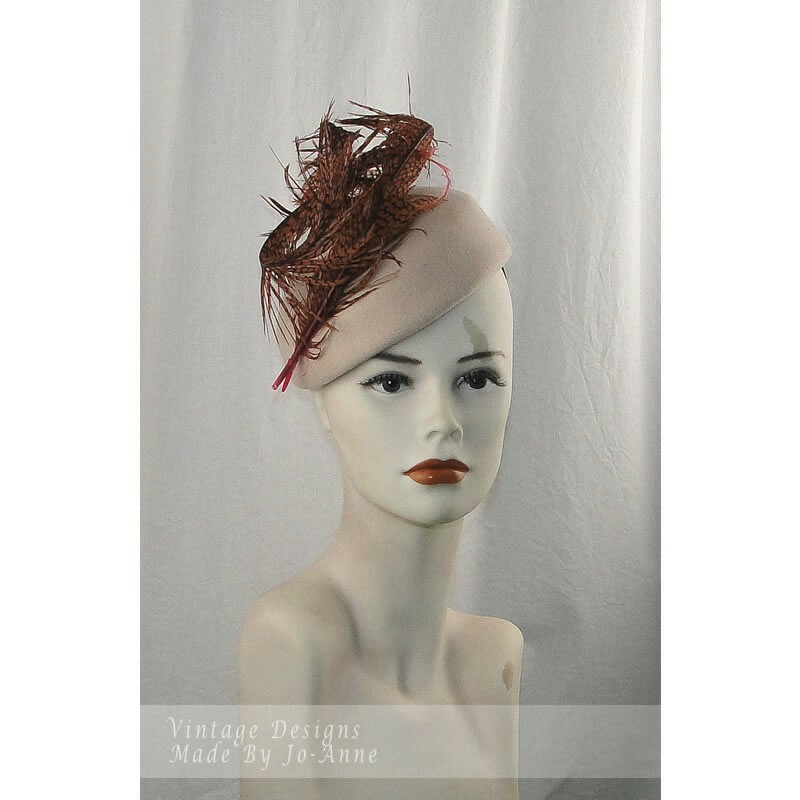 Beige Felt Modified Pillbox with Curled Pheasant Feathers Trim in Dusty Pink. Will suit most head sizes. Hat Life in 2012, HATalk 2015, Royal Melbourne Show 2016, Colembally Taste Festival Art Prize 2016, finalist MIMC 2017.